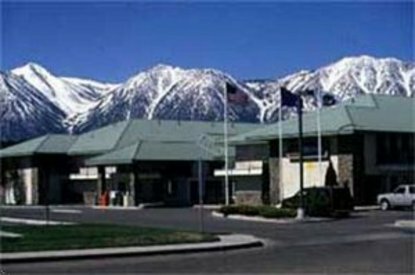 The Best Western Minden Inn is located in beautiful Carson Valley. Carson Valley was historically the staging arena for adventurers as they prepared to cross the high mountain passes on their way to the gold fields of California. Here was the opportunity to rest while enjoying the typical semi-arid climate. This charming valley continues that heritage today. Carson Valley is home of the first Nevada settlement, neighbor to Carson City, 45 miles from Reno, 30 miles from the Comstock and Virginia City as well as just 16 miles from Lake Tahoe. Throughout the area, you can find charming shops and great antique treasures. Though famous for its Basque restaurants, many visitors find their way to exciting continental, in addition to, ethnic cuisine along the one and only Main Street, Highway 395. On-site amenities at the Best Western Minden Inn include an eight-screen cinema, hair salon, coffee house, three fast food businesses, Denny's restaurant and the Oriental excellence of the Mandarin Gourmet. For in-house convenience there is, a launderette and all rooms offer satellite television. Microwaves, refrigerators, irons and hairdryers are available with plenty of parking for all types of vehicles. Add to this a complimentary continental breakfast in our lobby, outdoor pool heated only during the summer months and complimentary shuttle service to the valley's largest gaming establishment. Minden is a world class soaring location, but any summer morning one also can enjoy the sight of hot air balloons drifting across the colorful morning sky. Outdoors is a way of life here. Hiking and horseback riding are popular venues while fishermen must decide among Lake Tahoe 16 miles west, Lake Topaz 25 miles south, scores of smaller high country lakes and the clear cool streams that decorate the landscape. On the dryer side, Carson Valley is proud of the four excellent golf courses within its boundaries and is less than 30 minutes away from a dozen more.